The method of reproducing life-like colors on an offset press. It requires four ink colors: Cyan, Magenta, Yellow, and Black which are combined on the sheet in dots (see color separation) to fool the eye into seeing the full range of colors. 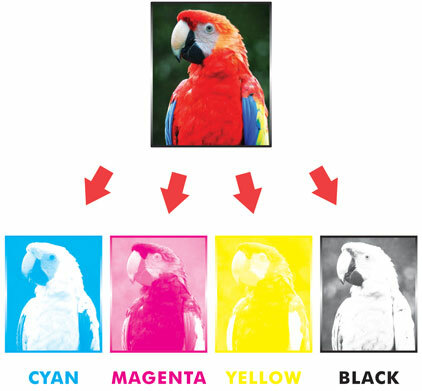 These same four colors are used in our toner-based color copier.